Who Dat? Well, I’ll damn well tell you. The New Orleans Saints, dat’s who. But you’d have been living under a rock not to know that, wouldn’t you? How much did we need the New Orleans Saints to come marchin’ in? About as much as we need to breathe. We’ve been choking on disheartening news about health care, Haiti, the deficit, car bombs, floods, and senseless murders. When CNN began covering the Saints Super Bowl victory parade in New Orleans around 5 pm Tuesday night, they got hooked. Sometime after the parade began to be televised, someone in CNN headquarters realized this was a national event. They surrendered to the Who Dat Nation. They went for the whole muffaletta. There was non-stop coverage for more than two hours, the kind of coverage normally reserved for death, or tragedy- the kind that consumed the networks in this city in 2005. Someone at the controls realized this was the perfect bookend to that tragic story. Wolf Blitzer was smiling. New Orleans native Donna Brazile brought her Saints parasol to the set and tried to coax Wolf into a little second line hoofing. Mary Matalin and James Carville. Louisianians both, interviewed celebrants from the governor down to Chef Paul Prudhomme from their spot on the parade route. Carville said, “There are 1.7 million people who live in greater New Orleans. It feels like a million of them are here tonight.” Other CNN reporters tried to be heard over the joyous throng along the 3.7 mile parade route. They simply gave up and let their microphones relay the bon temps rolling down St. Charles Avenue. If you tuned in, you’d have witnessed an entire state whoop, holler, and cry with joy. Their team, a metaphor for a city trying to rebuild after being blitzed by Katrina, pulled one of its bootstraps up in its effort to overcome the devastation visited upon it in August 2005. The New Orleans Saints had come from the “Aints” to the champions of the football world. How good did that feel? I’ve been to Louisiana twice in the past year. I can tell you there’s not a diner, eatery, bar, bistro, or family business that does not have Saints paraphernalia someplace visible on the premises. And it’s been there from the lean times to the now party times. The parade celebrating the Saints winning the Super Bowl was gumbo for the soul. The Saints coach built up his team with the kind of players who want to be there, want to work together, and, you have to understand, feel like part of the New Orleans rebuilding process. Their city loves them for that. New Orleans Saints, the underdog, the wonder team, the team whose foot fit perfectly into the glass slipper in the high couture closet of the National Football League was out to party with their people. Unlike Cinderella's, their party would last long after midnight. Sunday, June 10, 2007 - a day to embrace uncertainty. The least of my worries, as I await the matinee of "No Man’s Land" at the American Repertory Theater in Cambridge, MA, is that I won't grasp the meaning of Harold Pinter’s play. Pinter is the heavyweight champion playwright of pauses, loose context, and ambiguity. I realize I’m in over my head going in. If everyone’s candid, I’m not alone with this line of thought. One of the only things generally agreed upon is that age and mortality are what’s on Pinter’s mind in "No Man’s Land". How appropriate for today. I’m not worried about being boxed out by Harold Pinter this afternoon. No. My main concern is what’s going to happen to Tony Soprano tonight. I know that I’m not alone here, either. 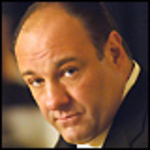 The average viewer-ship of every “The Sopranos” HBO episode is between 10 and 12 million people. Tonight is the last episode - ever. I’m not worried that I’ll feel intellectually inadequate here. I’m taking comfort that I know ahead of time that Pinter leaves holes in the plot big enough to drive one of Tony’s waste management trucks through. I can embrace ambiguity on the stage. The uncertainty about Tony's fate is what gnaws at me. Tonight, Tony Soprano is in No Man’s Land. Death looms. His inner circle, goombahs like grim-faced Silvio and man-child Bobby, has been whacked. Tony is in hiding. He's never seemed so vulnerable. Tony can’t seem to escape his DNA. For every step forward toward a moral life, he’s made several backward. The alpha dog in him won't die - but Tony might tonight. I know why I care about some of Pinter’s characters. Why do I care about Tony? He's an emotionally stunted bully. So why do I keep rooting for him to show me that he’s “basically a good guy,” as he’s told his therapist Dr Melfi? I want to believe in redemption for Tony - and by extension - for me. Tonight I get the answer. What has Tony’s self-insulation into No Man’s Land cost him? What does it cost any of us? Trust or trespass? Love or rejection? Life or death? Tony finds out tonight. The rest of us have to wait.